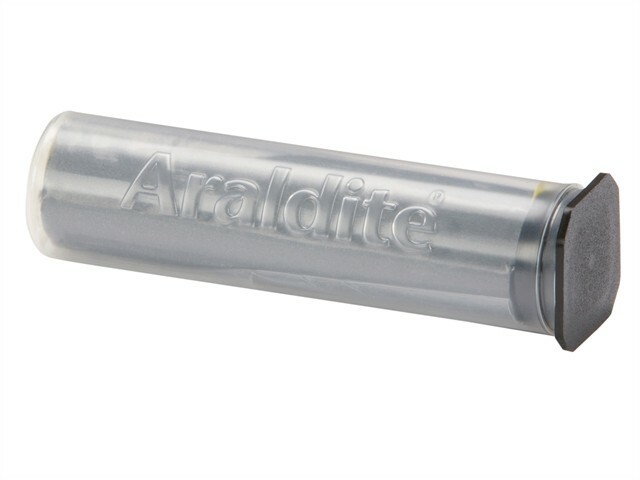 The Araldite® Repair Epoxy Bar is a hard, long-lasting solvent-free multipurpose repair putty which is waterproof and can be drilled, filled, painted or sanded. Ideal for bonding or sealing it will cope with uneven surfaces, and is highly recommended for wet applications on metal pipes, tanks and gutters. It will even hold a repair where you are re-joining parts with stripped threads. Araldite® Repair putty is a real ally for the serious DIY enthusiast and repair man! If you do need a smooth surface finish this can be simply achieved using a damp cloth before hardening. Simply activate Araldite® Repair putty by kneading it like dough, and it is recommended that you wear gloves. Bonds to most materials. Recommended for metal pipes, tanks, radiators, tools and equipment, guttering and stripped threads. Sets in wet conditions. Water, oil, chemical and impact resistant. High temperature resistance (-40°C to 120°C).